Steam Salmon & remove bones. Mix salmon with onions & wasabi. 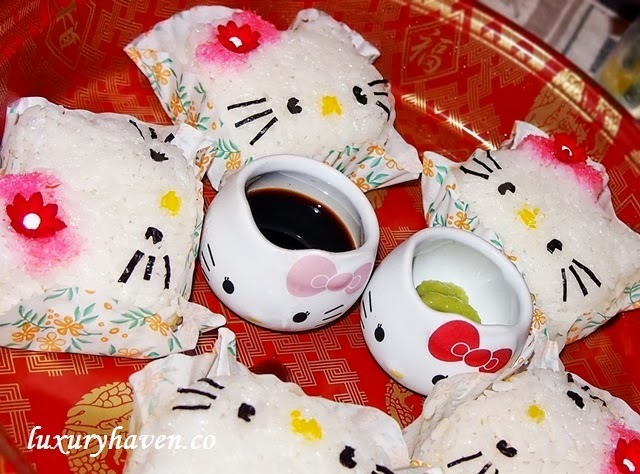 Add another tbsp of rice to cover & roll into an oval shape. Next, make the ears by using rice & salmon mixture & mould into 2 triangular shapes. Attach firmly to the head. Steam carrots & corn. Cut carrots into flower shapes & capsicum into ribbons. Make the eyes & whiskers using nori. Make about 3 slits on top of sausages. They’ll open up nicely when steamed. Start decorating your Kitty face. Place your finished product onto a lunch box. Add sausages & insert cocktail sticks. 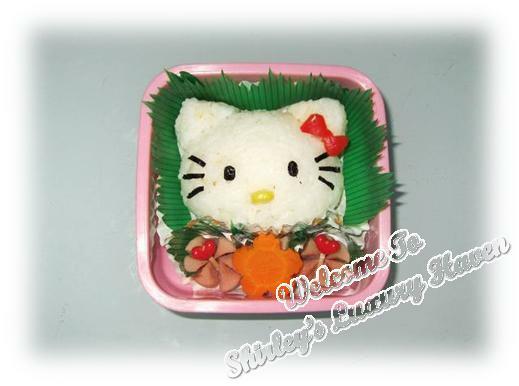 Beautify it with your carrot flower & surround the onigiri with green sushi grass sheets! Here's another version I'd made for the celebration of my Hello Kitty Momento, By Nippon Paint! This was made using a mould. I prefer using hands as we can control the pressure better & add it more fillings. For the mould, we can't put in a lot of fillings as they'll ooze out once you press on the mould resulting in an ugly rice ball. Well, I leave it to you to decide which method to adopt. This is so adorable. Love it. You are so creative. This is so cute and I am sure your friend is going to love it. 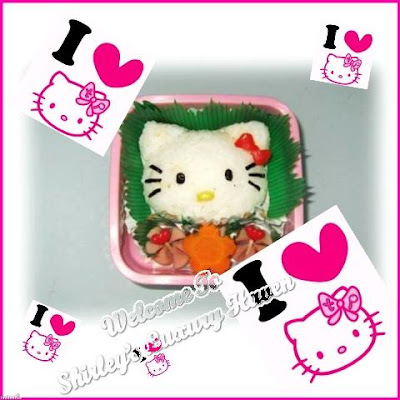 So much of effort from you Shirley to create this beautiful hello kitty bento. Btw, I am also a big fan of hello kitty. Shirley, this is absolutely adorable! What a sweet sweet thing to do for your friend. This gift is screaming with sincerity, love, and dedication. This Hello Kitty Bento Box was such a perfect gift. Way to go, Shirley! Great job with both bentos! Kim Bee, thks for dropping by & leaving your thoughts! Nava, I did spend some effort. Hahaha! OMG, welcome to the Kitty Club! Doris, I'm so happy that my effort are paid off :) Thks for showing off this "product"! Heehee! Alisha, u think so too? Yipee! I was afraid u may think I'm childish. Hahaha! Thks, sweetie! Biren, thks! I'd fun molding this little kitty :) Wish I could lay my hands on one of those Hello Kitty molds, then it'll be so much easier. 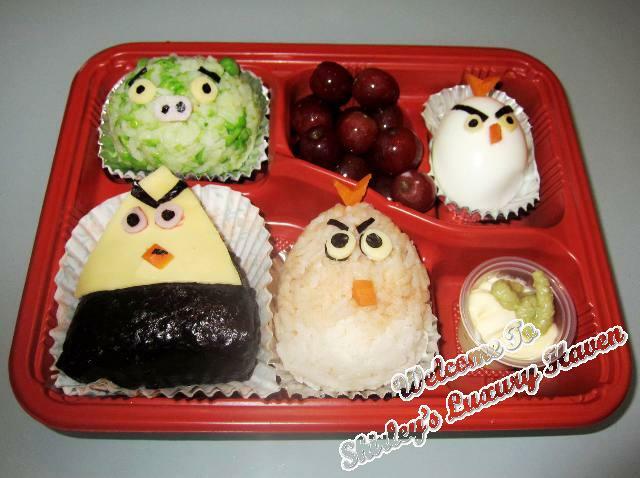 Great bento & tutorial. Thanks for linking up at Bento Blog Network. I'll add you to the blog roll. Also thanks for visiting my Diana Rambles blog. I will follow you! Sweet and loving gift for a friend! I love it! BerryGirl, thks for your lovely comments! Bobo, thks for dropping by & leaving your trail! Too good Shirley... Being in Japan for 10 months, all I did was oh..ahing over their bento boxes and dreaming that one day I would be able to create one, so collected a lot of equipments, moulds etc. while moving to Singapore and still dreaming of starting and completing one! This post gave me some more inspiration and hopefully I'll be able to fulfil my dream sometime in near future... You do some great work Lady... very impressive! Neha, we've so much in common! I'd a short stint in Japan some years ago too! Thanks for sharing your thoughts! 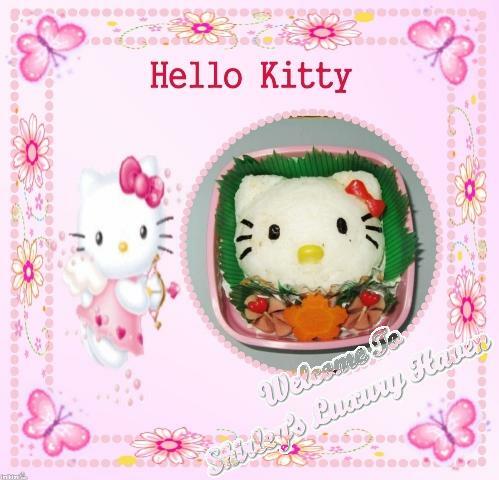 awesome i love Hello Kitty. Cquek, great to have another kitty fan! KW, thks for visiting & looking fwd to sharing our love for bento!